Zachary R. Smith received his B.A. in Public Administration from San Diego State University in 1996. In college, Mr. Smith was a four-year letter winner and team captain for the San Diego State University Aztec football team. Zach earned his J.D. from California Western School of Law in San Diego in 2002 where he was awarded Dean’s Honors. In law school, Zach served as a Certified Law Clerk for the Los Angeles City Attorney, Civil Liabilities Division. He is admitted to practice in all courts of the State of California, the United States District Courts for the Southern, Central and Eastern Districts of California and the Ninth Circuit Court of Appeals. Zach is a litigation and trial lawyer. 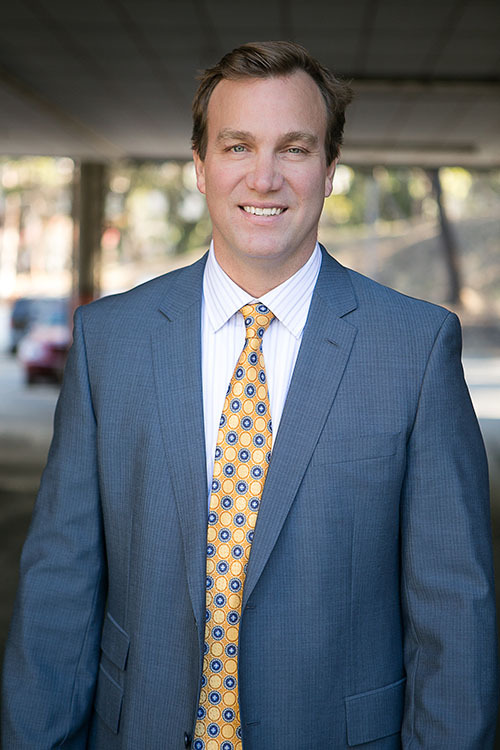 He has extensive experience litigating and trying a broad range of Common Interest Development (CID) disputes including construction defect claims, CC&R enforcement actions, and vendor disputes. Zach’s vast experience in business, real estate, and general civil litigation matters makes him a valuable resource to the firm in handling unique and complex cases outside the CID field as well. This broad experience coupled with his competitive nature allows him to intelligently and aggressively represent clients in virtually any type of dispute with proven results, whether for the plaintiff or defense. Over his career, Zach has recovered tens of millions of dollars for his clients and has defensed many of his cases through pleading challenges, summary judgment, nonsuit, and trial. Zach has also participated in countless mediations and is a skilled negotiator. Zach resides in Encinitas with his wife and two children. Please reach out if you would like more information or if you have questions about how we can help you and your community.